March- Sporting Snap of the Month! Our March sporting snap of the month displays the theme of 'Inspiration'. We recently had some visitors in school from Destination Judo who were kind enough to come and work with each year group and teach us some Judo skills. The children were so inspired by our visitors and they loved trying out something they had never did before, they really sparked an interest into Judo in some of our children! February - Sporting Snap of the Month! Our February sporting snap of the month displays the theme of 'Friendship' and was caught by a member of our SSOC! These Year 6 girls enjoy playing on the yard with their friends and also supporting the younger children in our school (during their role as buddies), making sure everyone is included. Good job girls! Years 1-6 were lucky enough to receive some Judo taster sessions in school this week. We had lots of fun playing defense and attack games and also learning how to perform a Judo throw. Thank you very much to Destination Judo for two fun mornings, we loved trying something new! We were visited by our music specialist Mr Parkin and his band, for our annual Christmas music workshop. As you can see, fun was had by all! Celebrate a snapshot of our AMAZING Christmas productions: KS1 - The Innkeeper's Breakfast, KS2 - Pirates Of The Currybean below and please see Nursery and Reception Class Pages for the EYS - The Toyshop. All the children and staff worked so hard to produce wonderful productions! Thank you for all of the brilliant feedback from parents/carers/family members who came to see the productions last week. 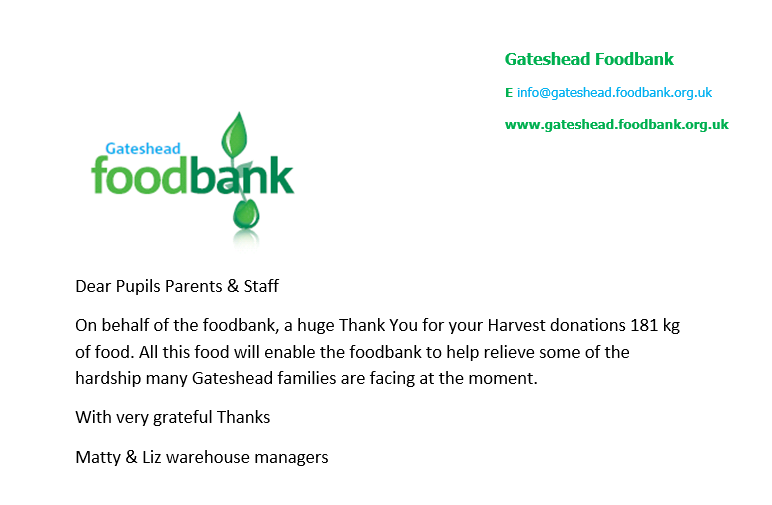 We have had the chance to participate in some fantastic sporting events recently such as the Sportsability Indoor Athletics and the Gateshead Schools Gymnastics Festival. Children from Year 4 and 5 participated in the Indoor Athletics Competition and placed 3rd overall!! Amazing work! Children in Year 3 & 4 participated in the Gymnastics Festival and delivered an amazing routine showing off their skills! Fantastic job everybody, we are so proud! Some Y6 children volunteered to sing for St Oswald's hospice, at ASDA Metrocentre. We raised a total of £190.92 in an hour for this very worthwhile charity. Friday 16th November was so amazing for all the children at Brighton Avenue Primary because we were visited by the very special Pudsey bear! He thanked everyone for donating money to Children In Need and loved hugging and dancing with everyone - including the staff! We even had lots of special Children In Need prizes (kindly donated by all the staff) that children, from every class, could win by having their name drawn out of the raffle tickets. Please see 'Class Pages' for more photographs of everyone celebrating this special day. On Friday afternoon, the whole school continued with their fine motor skill activities with a very special focus on Remembrance Day. Miss Turner had explained Remembrance Day, during collective worship last week, and how it marks the day that World War One ended, at 11am on the 11th day of the 11th month, in 1918. Each class made a variety of poppies, in different media, having understood that the poppy was adopted as a symbol of Remembrance. The whole school will pay our respect, with a two-minute silence, to the people who have died in wars on Monday at 11am. 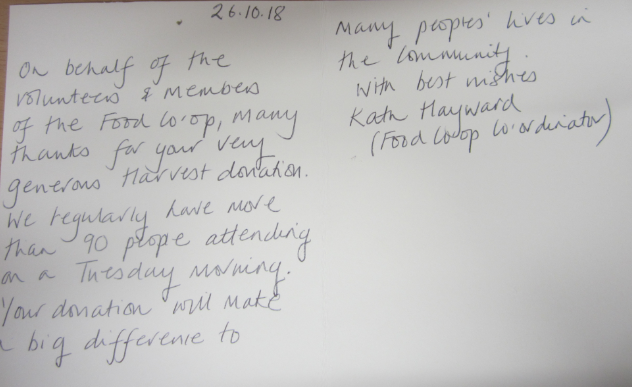 We were delighted to receive letters of thanks from both Gateshead Food Bank and the Bensham food CO-OP, for our donations from our harvest celebrations. The children really enjoyed their Harvest Celebrations at St.Chad's Church as a whole school and with Reverend Meg. 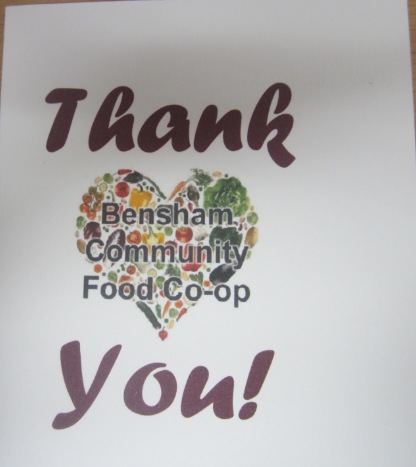 Donating food at the food COOP. Wow! We are so proud of all the children, staff, parents/carers in our amazing school and community for helping to raise money for our Macmillan coffee morning. Can you believe we raised £705? Wow! A BIG thank you all once again.